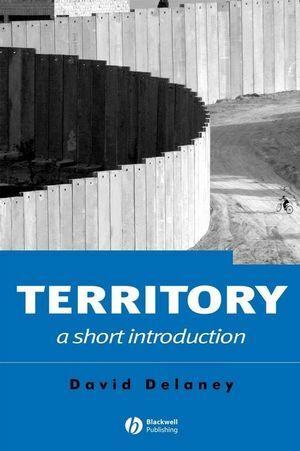 This short introduction conveys the complexities associated with the term "territory" in a clear and accessible manner. It surveys the field and brings theory to ground in the case of Palestine. A clear and accessible introduction to the complexities associated with the term "territory". Provides an interdisciplinary survey of the many strands of research in the field. Addresses specific areas including interpretations of territorial structures; the relationship between territoriality and scale; the validity and fluidity of territory; and the practical, social processes associated with territorial re-configurations. Stresses that our understanding of territory is inseparable from our understanding of power. Uses Israel/Palestine as an extended illustrative case study. The author’s strong legal and geographical background gives the work an authoritative perspective. David Delaney teaches in the Department of Law, Jurisprudence and Social Thought at Amherst College. He is the author of Race, Place and the Law: 1836–1948 (1998) and Law and Nature (2003), and co-editor of The Legal Geographies Reader (Blackwell, 2001). 1 Entering the Territory of Territory. 2 Disciplining and Undisciplining Territory. 3 Human Territoriality and its Boundaries. "This book is a brilliant, accessible excursion through the many dimensions of a key aspect of social space. Delaney weaves together provocative illustrations, detailed case studies, and an original theoretical synthesis in order to track the many ways in which territory structures our everyday lives. Thanks to Delaney’s lucid writing style and his broad, interdisciplinary expertise, the book will be a tremendously useful resource for students at all levels." "Dividing ourselves up into territories is a pervasive but remarkably ill-understood feature of human life. This book succinctly and expertly explores why territory matters and surveys the ways in which we can better understand it." A clear and accessible introduction to the complexities associated with the term “territory”. Surveys the field and brings theory to ground in the case of Palestine.